Heterocyclic amines are potentially carcinogenic chemical compounds formed in cooked muscle tissue. Examples of heterocyclic amines include harmane, which may cause essential tremor (see also here), and PhIP, considered an estrogenic carcinogen that may increase breast cancer risk. Poultry meat (see also here and here) appears to have the highest concentration of heterocyclic amines, but muscles are not the only source of these toxins. These carcinogens may be present in eggs, cheese, creatine supplements and cigarette smoke. There are some things those who eat meat can do to reduce the risk of developing cancer. Boiling appears to be the safest cooking method in terms of carcinogen levels. Other foods may help too. 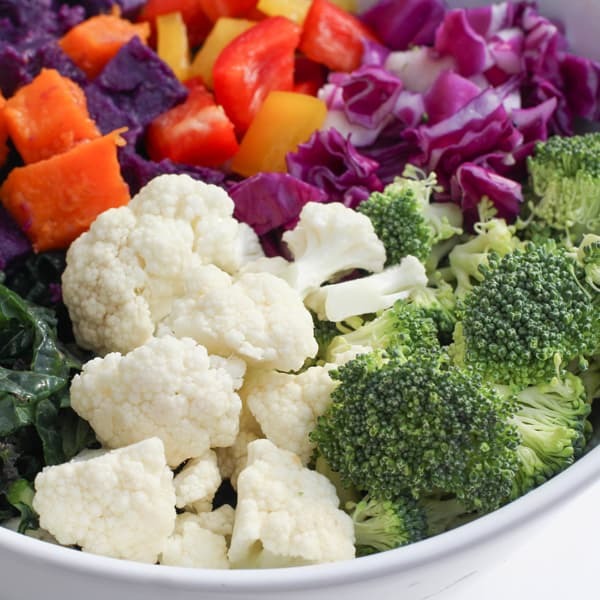 For example, cruciferous vegetables have been shown to reduce the absorption of heterocyclic amines for as long as two weeks after consumption. White and green tea may also be protective. Participate in Meatless Monday and our levels of PhIP and MelQx will drop to zero in just twenty-four hours. Veggie meat is a safe bet since it contains no muscle tissue. Even deep fried they contain no heterocyclic amines.